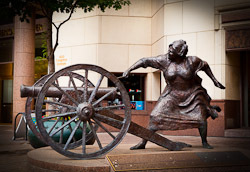 Our goal is to provide the capital city of Texas with first-quality and highly original works of monumental statuary. It is not our intention to recreate the stiff, formal postures of the past. We believe that the works themselves should reflect the wit and charm and common humanity of the culture that we live in. The art that we commission will be given to the City of Austin for the pleasure and edification of its citizens. 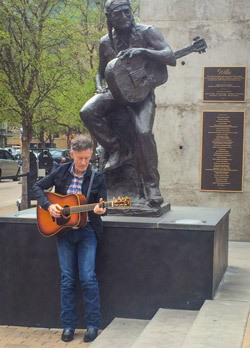 Pictured: Lyle Lovett pays CAST’s Willie Nelson statue a visit. 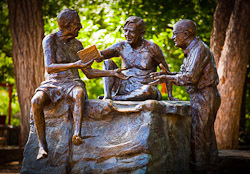 © 2011 Capital Area Statues, Inc.